None of the twelve figures are meant to portray a particular individual. 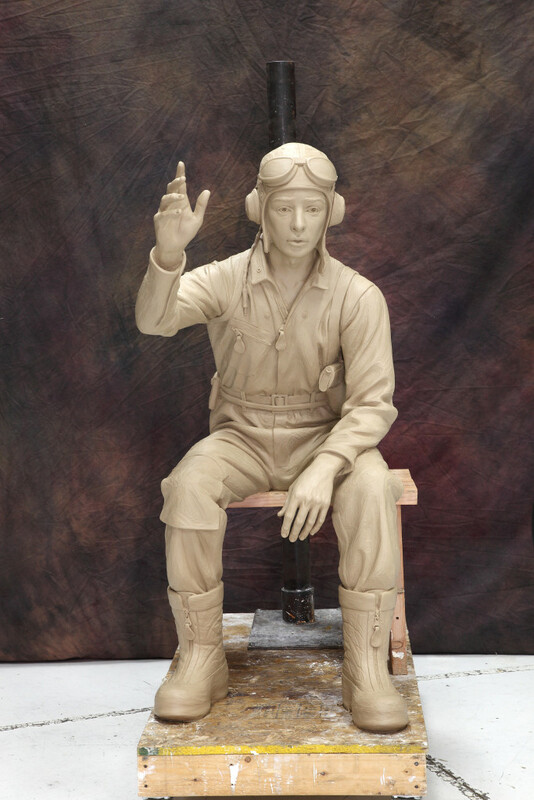 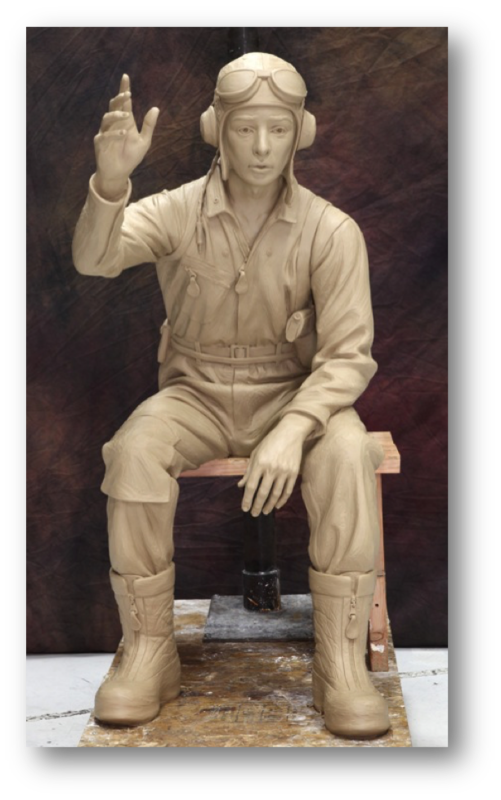 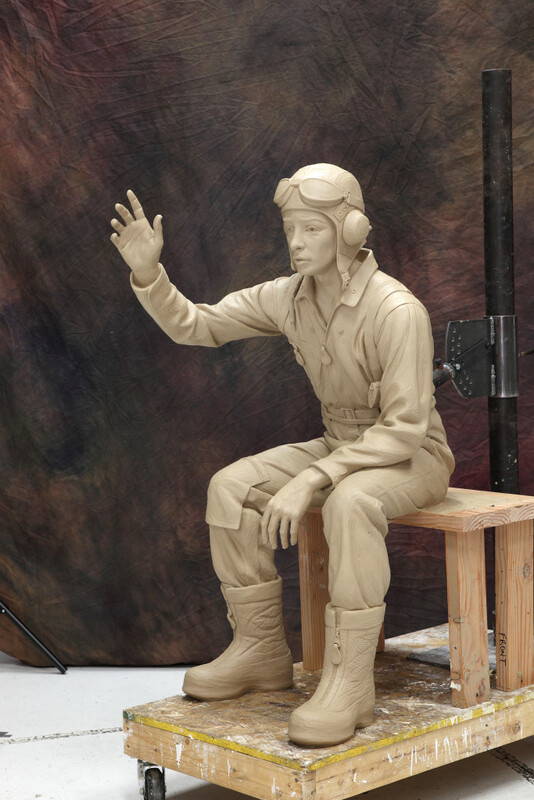 However, each has been carefully crafted to represent a behavior, an attitude, certain equipment, and/or a pose that was common among fighter pilots of that era. 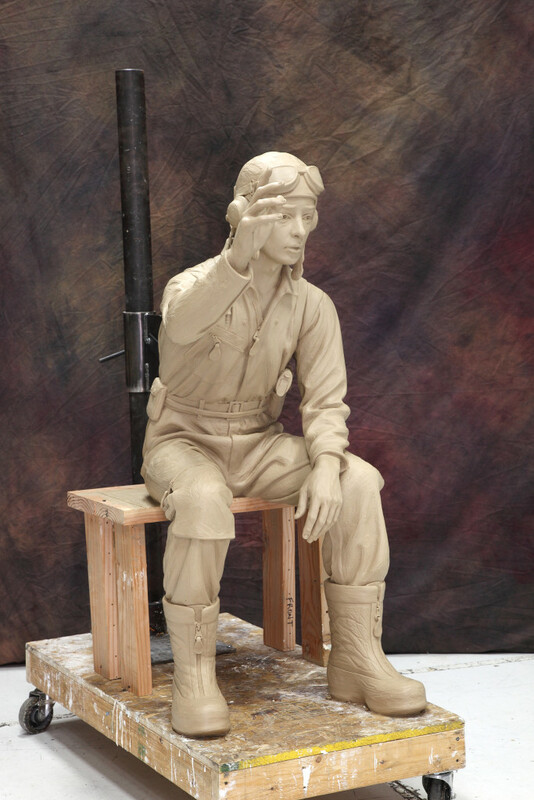 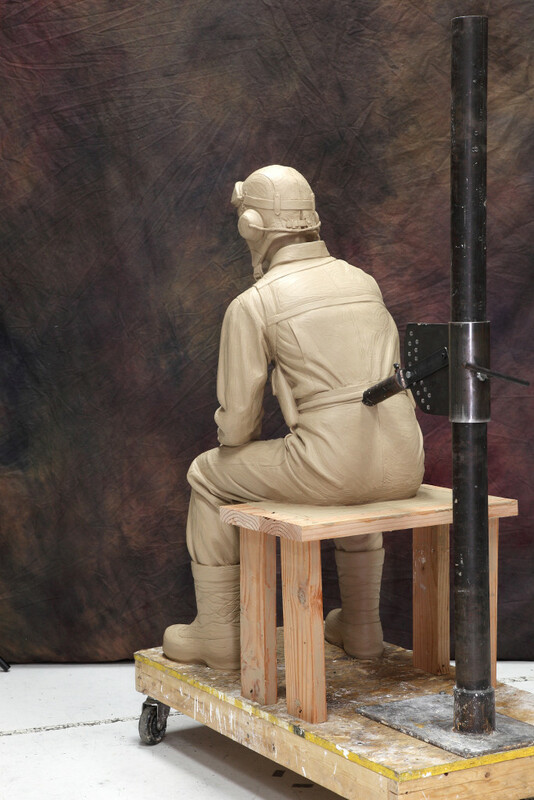 The photos below show the original MONTANA as it was completed in clay. 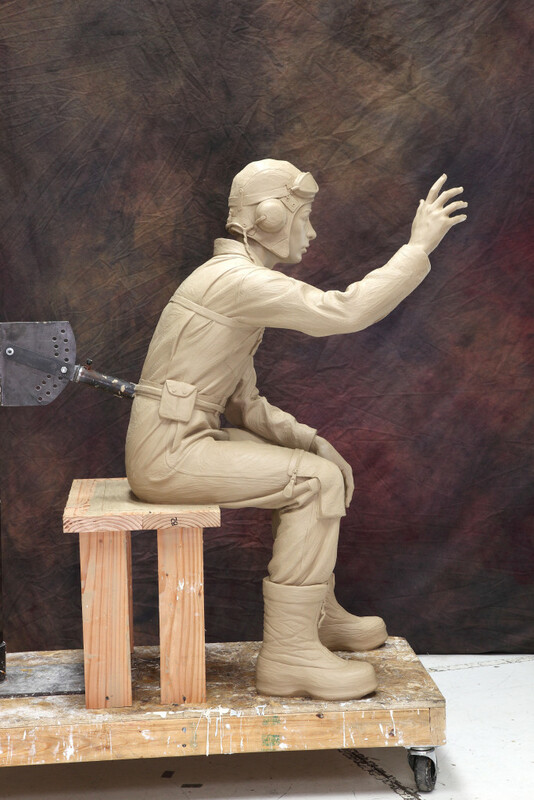 The next step in the process required taking a mold from the clay. 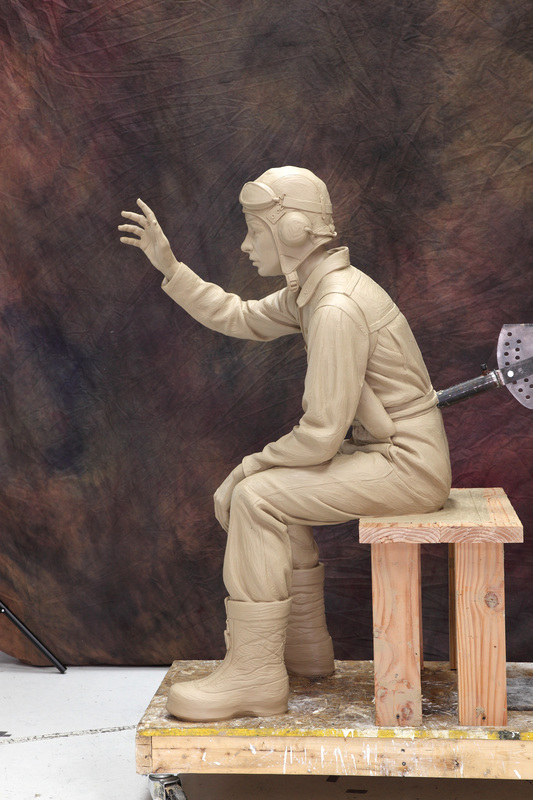 That process was done immediately following these photos, destroying the original clay. 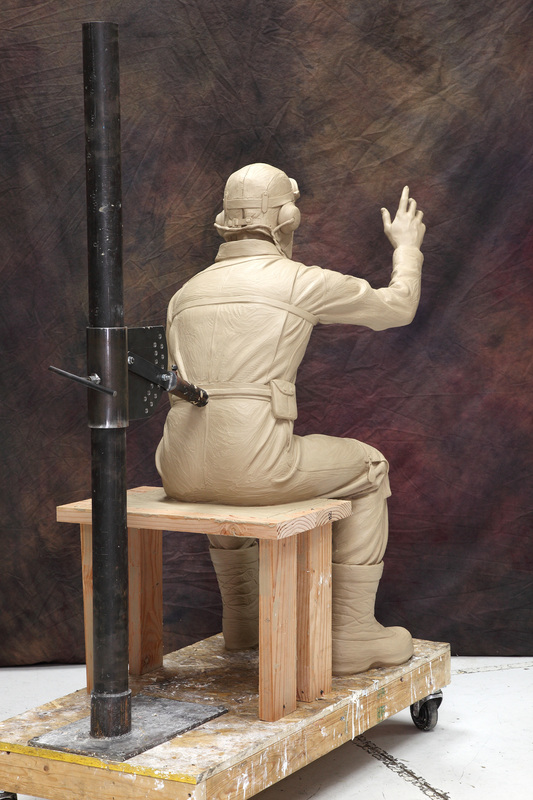 Now the sculpture exists as part of the completed monument in bronze.